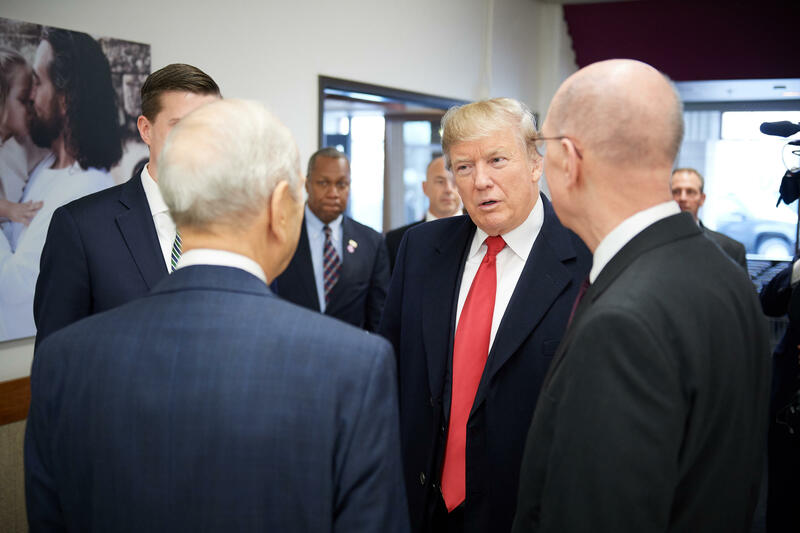 President Trump is accompanied by Senator Orrin Hatch and a few top LDS Church leaders during a tour of Welfare Square. Trips like this are business as usual for the LDS Church. Typically a meeting with a sitting president revolves around either the church’s genealogy work or it’s humanitarian efforts. This go around Trump was given a tour of a bishops storehouse, a type of food pantry, and a bakery at Welfare Square. 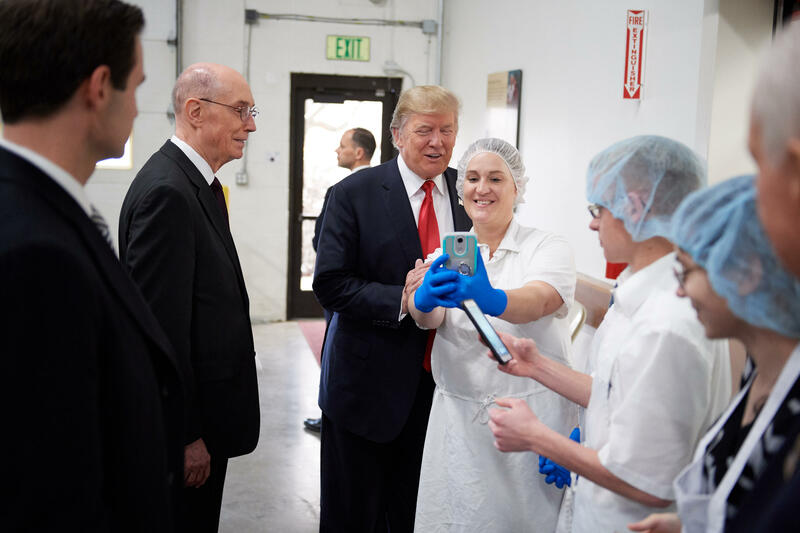 Trump takes selfies with bakery staff during a tour of Welfare Square. 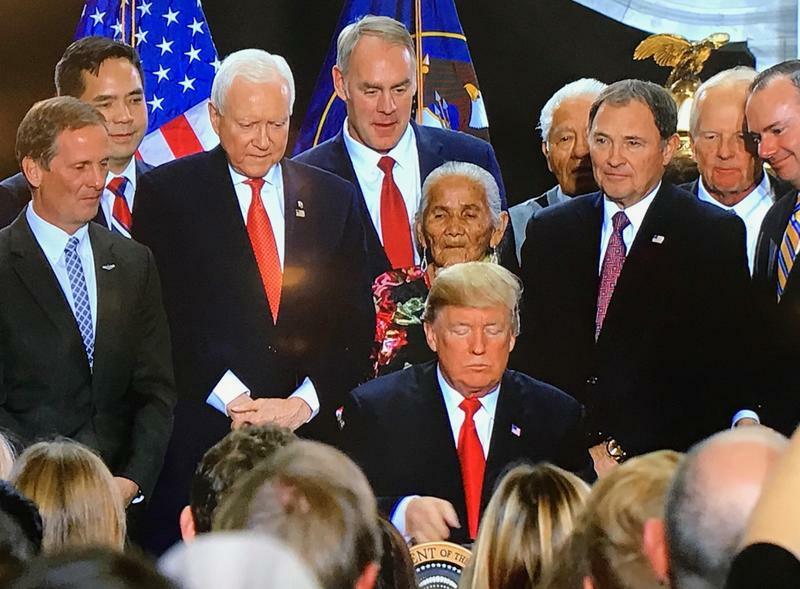 Seated on couches with Sen. Orrin Hatch and an some church leaders, Trump offered some some praise for his Mormon hosts. The most senior church official present was Henry Eyring, first counselor to church President Thomas Monson who has been missing these types of appearances due to health. 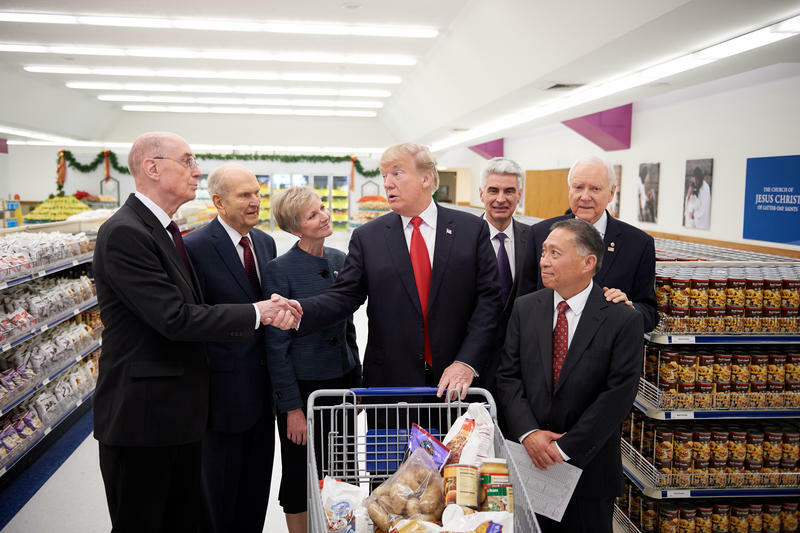 Trump talks with Henry Eyring of the LDS Church's First Presidency and Utah senator Orrin Hatch. Trump is the least popular Republican president among Mormons in decades. He’s at just over 50 percent approval rating statewide. Compare that to the 60 percent of the state population that’s Mormon and there’s clearly some disconnect. Although, this visit had less to do with politics and more to do with displaying the resources and reach of a global church, something Mormon leaders are very comfortable with.